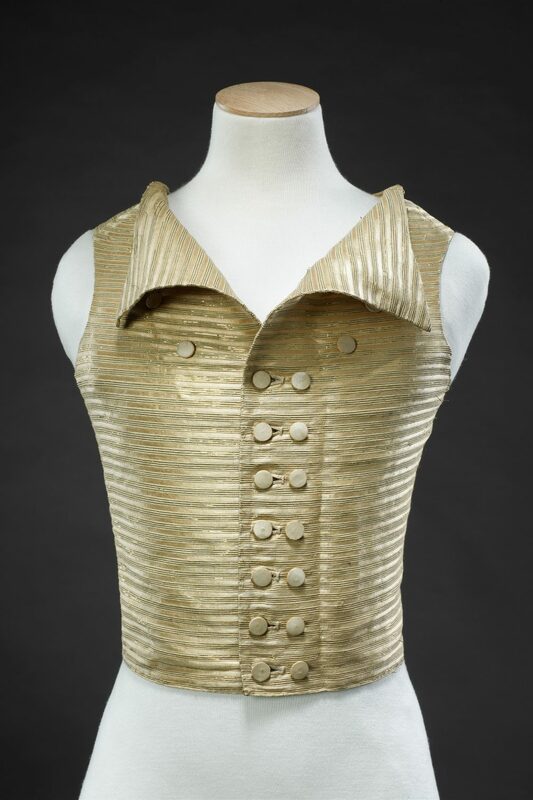 At first sight, this waistcoat would appear to have been a man’s, but was in fact worn by a woman. 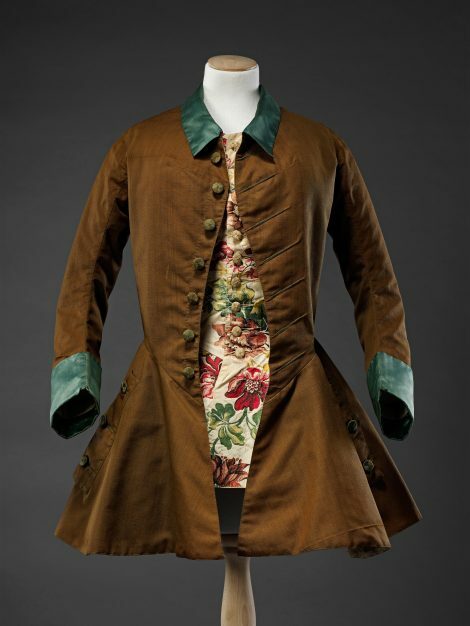 For many years women had appropriated elements of men’s dress into their own for practicality when out riding, walking or travelling; an example of this, a riding jacket based on that of a man, can be seen in Related Items. By the 1780s, these ‘masculine’ garments had also been assimilated into high fashion, and divorced from their primarily rural, practical purpose, riding habits and redingotes (gowns based on a man’s greatcoat) could be seen in the streets and parks of London and Paris. 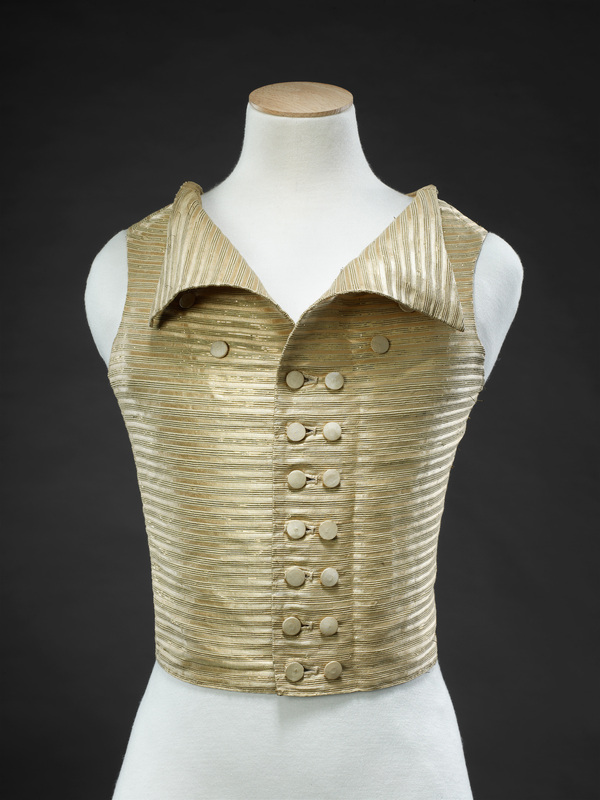 This waistcoat was probably worn as part of just such an outfit. 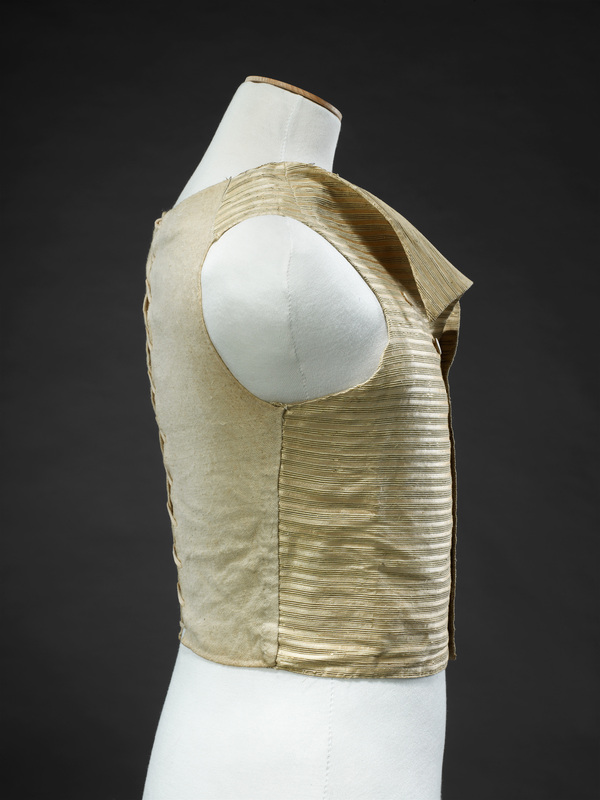 The front sections have been made of deep cream silk woven with horizontal bands of ribs between which fine strips of gold coloured metal have been couched. 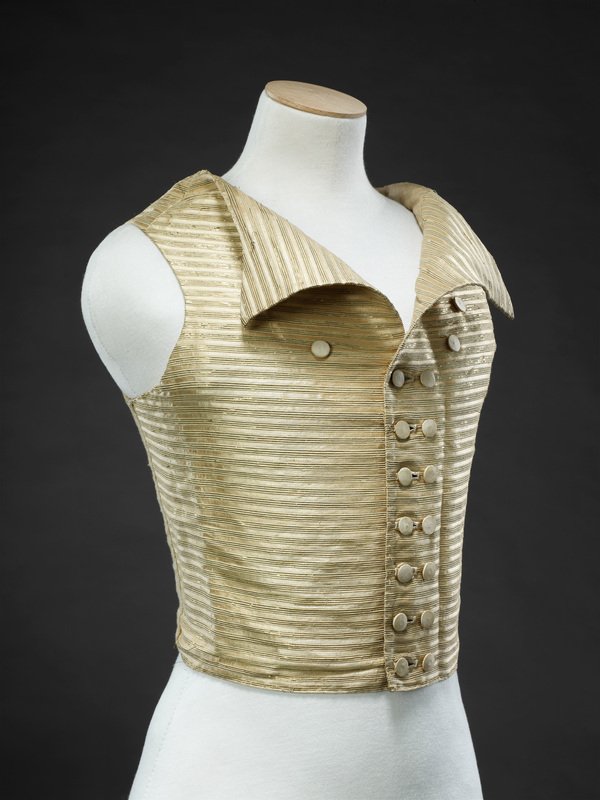 In common with contemporary men’s waistcoats it has large triangular lapels and a double breasted opening fastened with plain silk covered buttons. At this date the direction of fastening was not yet dictated by gender. 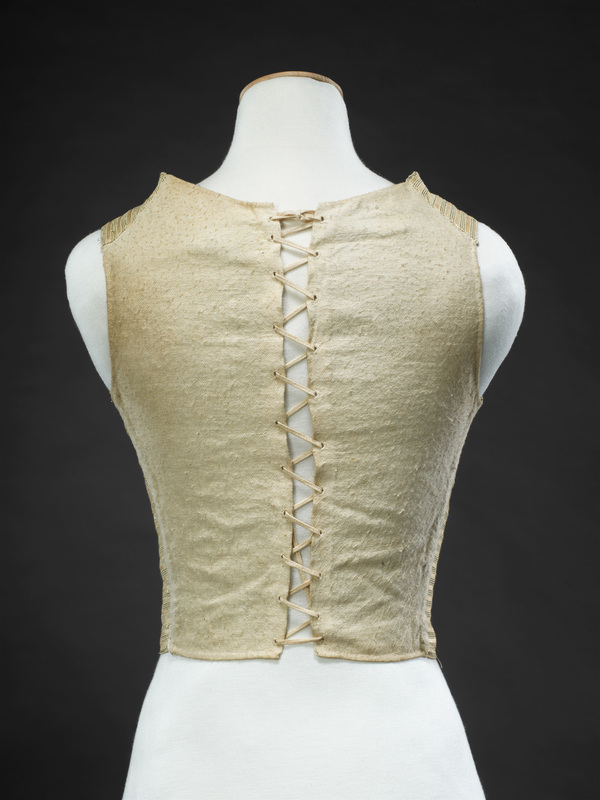 Unlike a man’s, which was cut to fit or adjusted with ties, the linen back is laced down the centre to achieve a close and flattering fit over the stays (corset) beneath. The stays established a smooth, almost conical figure above the waist, with no allowance for the bust as can be seen here.